As Oklahoma Contemporary’s events manager, Erin Hazelwood lives her passion, bringing people together to celebrate life. Erin has a track record of success in nonprofits, notably as a corporate market director at the American Heart Association. She collaborated on a $2.5 million annual campaign, taking particular pride in the organization’s elegant fundraising events. She also owned a successful business, catering French pastries and cakes and coordinating weddings. 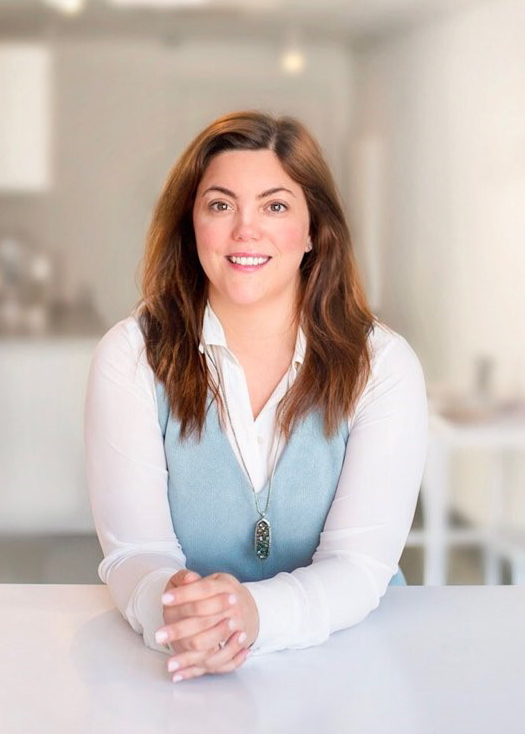 Erin became fascinated with the art of French pastry while raising her two children and studied in Los Angeles under the tutelage of Chef Clémence Gossett. Erin obtained her Bachelor of Business Administration in Finance at the University of Oklahoma and had an early career in client relations at a private equity firm. Born and raised in Oklahoma City, Erin values quality time with friends and family, traveling, reading, art, music and NBA basketball. She is invested in the fabric of Oklahoma City and is honored to serve the community through Oklahoma Contemporary’s mission.